Ok. So if you signed up for the free character image giveaway I announced in last week’s 2015 recap post, you have all of these images…but how do you actually use them? Let me share examples of how I’ve used characters in my own projects and how I’ve seen other designers use them as well. That should help kickstart some ideas for how you can incorporate character images into your courses. Grab the free character images directly here if you missed them. Scenario-based learning is my favorite type of training because it’s not about information; it’s about PEOPLE putting that information to use. So it probably won’t surprise you that character images would play a critical role in scenario development since it’s people (or characters) doing the tasks. In the course above on “Managing Difficult People,” instead of bullet-points about what do in certain situations, we made the course interactive. We set up a conflict between two characters, then allowed the learner to select the action the character should take and provided custom feedback based on that choice. Think of Aesop’s fables where the reader learns a valuable lesson through a story. Similarly, you can make an emotional connection through stories to teach a lesson. 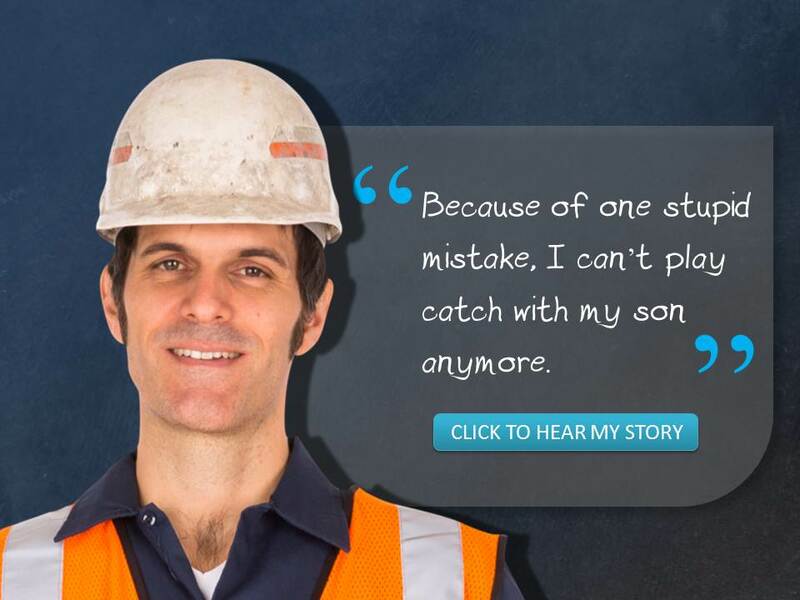 In the course above on workplace safety, instead of bullet points about workplace risks (zzzzzzz…snoozefest), why not tell a story about the impact an injury had on an employee? Which do you think is more memorable? Send your learner on a quest to gather information and make a decision. Each character in your story can provide pieces of information that help in the process. 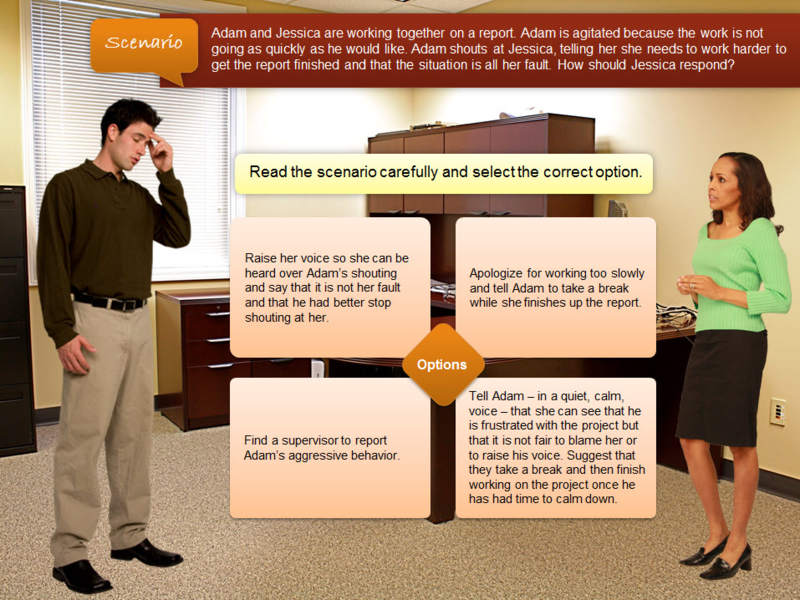 In the course above, the learner talks to three characters (by clicking on a door) before making a recommendation to her boss. 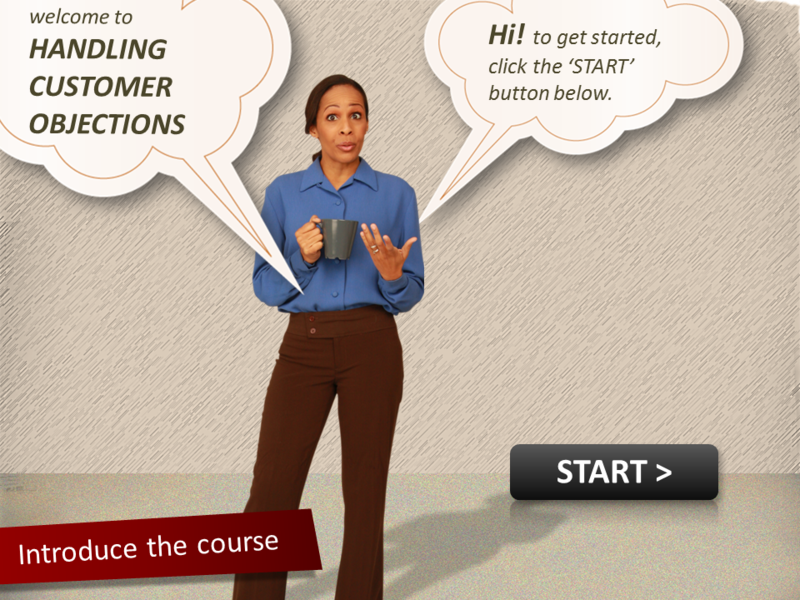 Avatars can be used as guides in an eLearning courses to introduce the course, give feedback, or provide helpful tips. You can use eLearning characters as presenters, such as a teachers, instructors, news anchors, or employees giving company presentations. Just put them in front of a screen and deliver the content in their words, creating a more conversational tone. If you’ve ever watched an interview or an infomercial, you know that content can be delivered through conversations. Instead of speaking directly to the learner or audience, you can use two or more characters that reveal content that is embedded in the dialog. You only have one chance to make a first impression. That’s why creating a good looking intro or “splash” screen is so important. Use characters in an action that represents the topic. 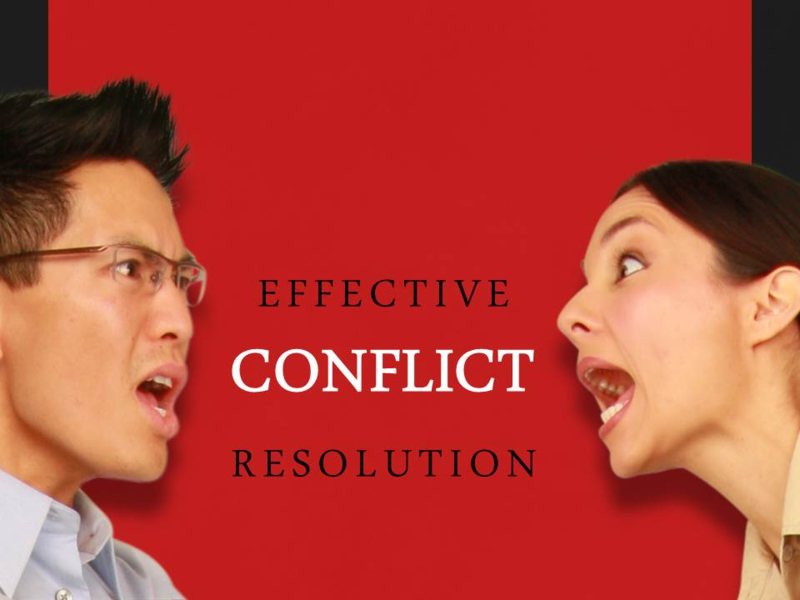 In the intro screen above, you probably don’t even need to read the title of the course to understand that the characters are in conflict. The over-the-shoulder shot allows you to put screens, backgrounds, and objects in front of the character. You shift the perspective from viewing the character to viewing the world through the eyes of the character. This is one of the single most important angles for creative storytelling. Don’t get held up waiting for photos of company employees. You can use the characters as placeholders until you have the real picture. In the induction course above, you’ll eventually use pictures of people from your company, but this lets you move forward with your design. Marketers, writers, and user experience (UX) professionals all create personas to better understand their audience. If you don’t understand who your target learner is, it’s much harder create a course that resonates with them. 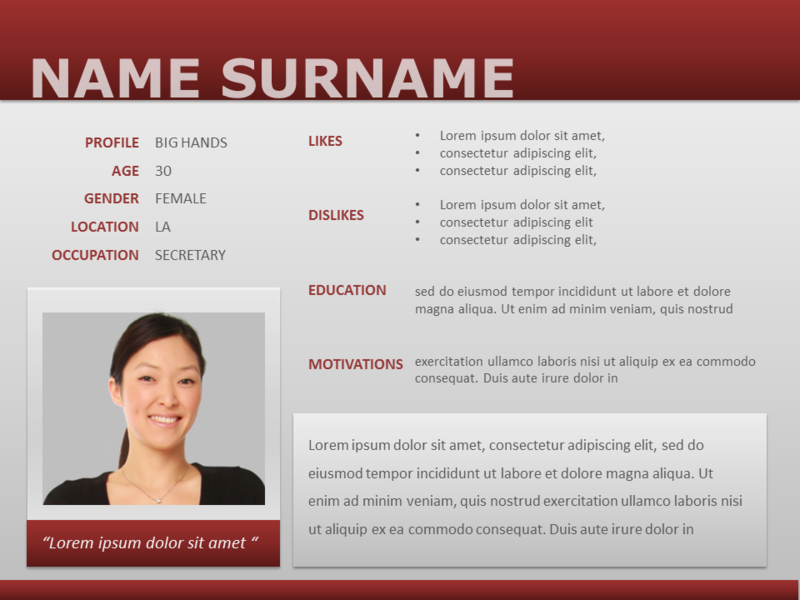 Come up with 1-3 personas of your target learner, list out their traits, and assign a character to them. Then think about these personas as you create a voice for your course. Metaphors are a great way to connect an idea to a concept a learner already understand. Use character images to create an image that is a visual metaphor. The uses above aren’t mutually exclusive. You might mix and match several uses. For example, you might tell a story first, then add the an interactive “scenario” component to the course. Hopefully this gives you some inspiration for your own course designs. 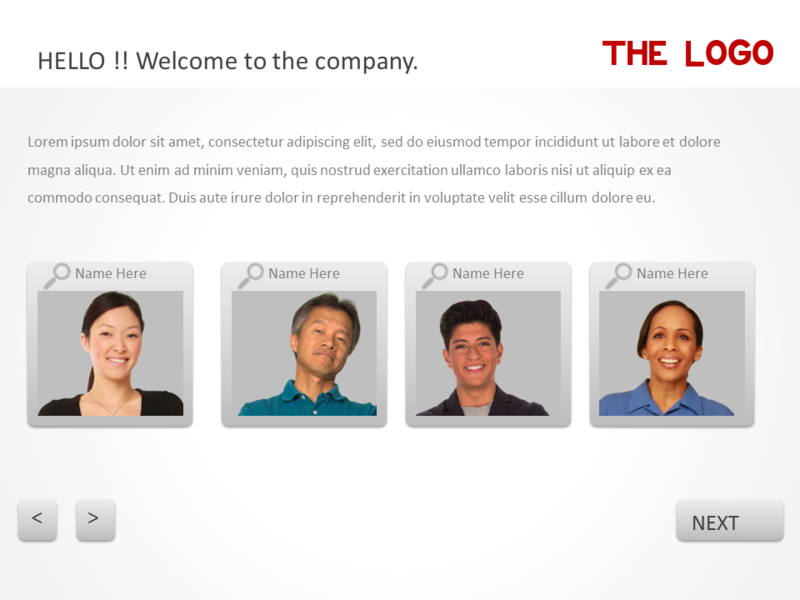 How do you like using eLearning characters? 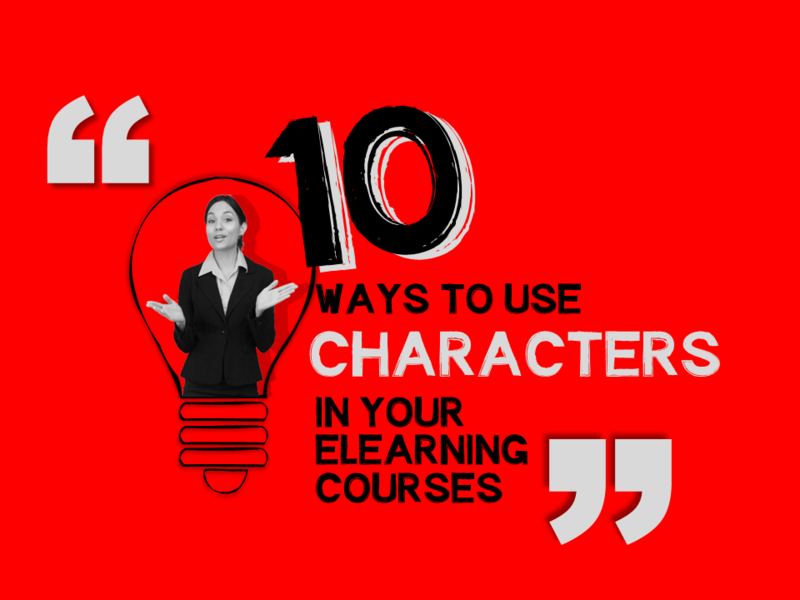 What’s your favorite use of eLearning characters? These scenarios would be beneficial for soft-skill related training. The challenge would be for IT technical training, and also to some extent towards management training. What do you think? IT technical training: Ultimately, all training boils down to “people” doing “things.” Questions to ask before designing: Why is this training important? Is there an impact in the real world if performance doesn’t improve? Can you tell the story of the impact of the gain or loss in people’s lives if the status quo remains (or things improve)? I think you can connect the training to outcomes through stories. Other uses could be some of other standard uses above (avatars, intro screens, personas, etc). But stories are the first thing that came to my mind with IT training. Management training: Characters are absolutely useful here. What comes to mind here is scenarios between managers and employees. 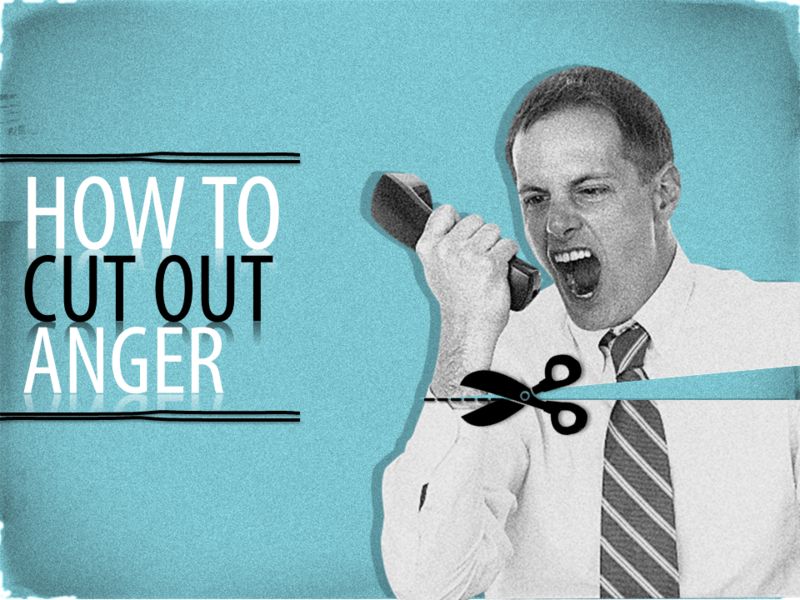 What are the biggest mistakes managers make? Can you create a scenario in which a manager has some conflict, then ask the learner what they would do and give feedback based on the learners decision? At least that’s how I’d approach it. Thanks again for the comment and let me know if that makes sense. Yes, for sure, it does make sense, Bryan. Thank you. Technical training design can get monotonous at times, resulting in declining attention span. The occasional use of characters can be a way to overcome that. Some possibilities are to use characters to introduce sections, give quiz feedback, or visually represent technical specialists. When clicking for more information, replacing a simple button by a character can give the course another depth and keep the learner interested. Characters can be identified with different types of learning within an organization. For example, different characters might be used for installation, technical, and support. Domenic- Absolutely! Intro screens, quiz feedback (avatars), and actors that represent a type of person in a course are all good uses. My two favorite types are in scenarios and stories, but there are many ways.